Tough protection against broken chain from cracking engine cases. Lightweight design machined from billet aluminum. Looks so much better than stock cover. Replaces OEM plastic sprocket cover. 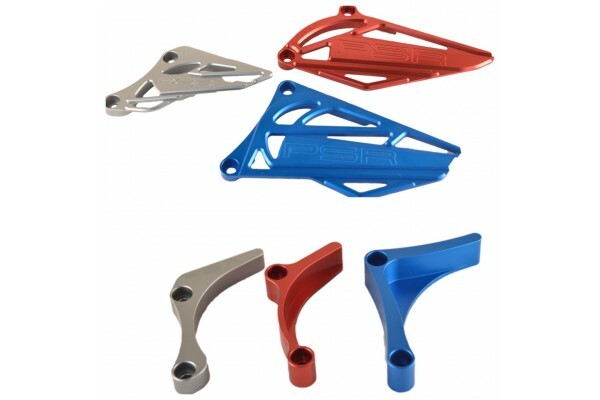 Anodized in Gunmetal, Blue, Red, KTM orange.